damn impressive work and effort on this issue, and it is appreciated by me. 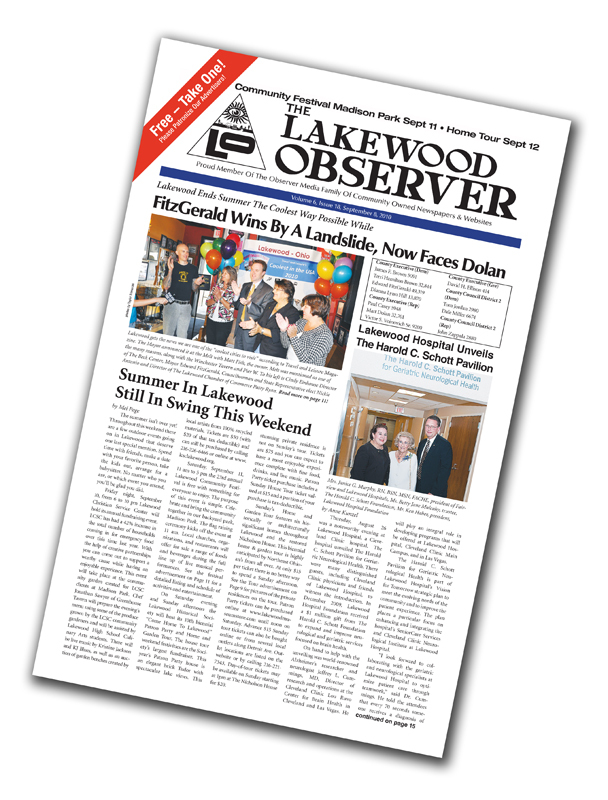 Those pesky Lakewoodites, penned by Rob Masek. Damn I love living here! Re: LO 06.18 Online and On The Streets! Now That Is Cool! Very nice issue. I especially appreciate Councilman Butler's piece on the procedures for filling vacant offices....very useful info. It was also nice to see some sports coverage.